Mystic, CT is home to a historic seaport, well-known aquarium, iconic downtown, quiet residential neighborhoods and more. This seaport village is found in New London County and is a bustling shoreline community that is full of history and New England pride. Mystic provides residents and tourists alike with a delightful place to both live and visit. The professionals at Big Blue Bug Solutions are New England’s pest control experts and have the services needed to keep area pests away from your Mystic home or business. Ants, spiders, cockroaches, termites, pantry pests, stinging insects, rodents, and more have no business living inside of your Mystic residential or commercial property, let us help you to get rid of pests and prevent them from returning. Since 1935 we have been dedicated to solving New England’s pest control problems, find out today why so many of your Connecticut neighbors have come to trust us with all of their pest control needs. Call us today to learn more about putting into place a residential pest control program to protect your Mystic home and family from area insects, rodents, and other pests! 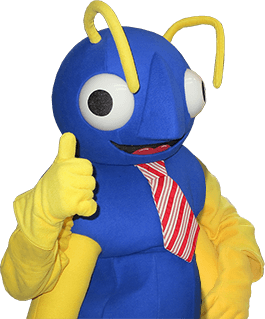 At Big Blue Bug Solutions we can continuously control pests through our Monthly Maintenance Program. Our pros make once a month visits to your commercial facility to monitor for pest activity, complete preventative treatments, and take care of any pest problems found (if possible) immediately. Call us today at Big Blue Bug Solutions to make your business our business! Termites are very damaging pests that are responsible for causing billions of dollars of damages across the country each year. To eliminate termites from Mystic properties, our team of termite professionals provide the services needed to eliminate every single termite found present, stopping them and their damages in their tracks. Our termite control services include having our highly experience professional perform a thorough inspection of your home and property and providing you with an accurate termite identification. Our professionals will also make recommendations to help make your home and property less attractive to wood-eating, destructive termites. Finally, they provide the targeted treatment necessary to eliminate termites from your home and property. For added peace of mind, we also offer a one-year termite warranty that can be renewed annually and that can be transferred to new owners in the event that you sell your Mystic home. Give us a call to learn more about our termite control services!